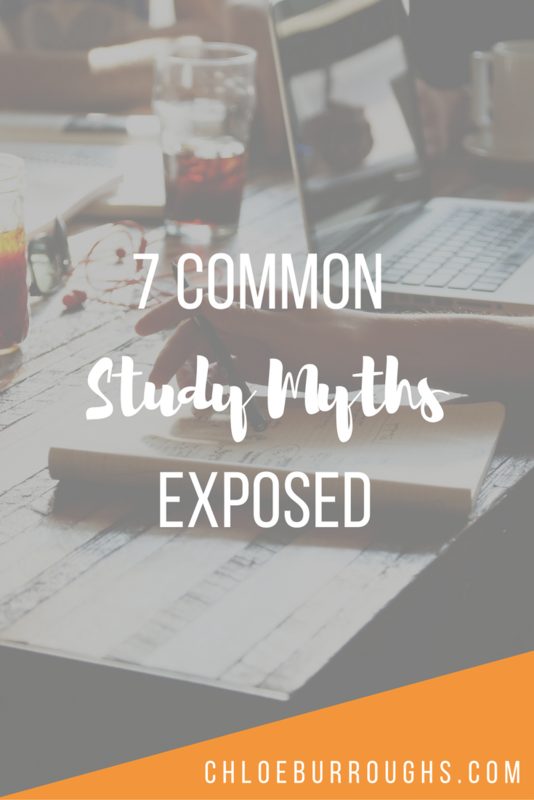 In this blog post I will expose 7 common study myths. It’s easy to become stuck studying in the same way, but new research dispels some of these old methods. These study myths could waste your time and negatively impact your essay and exam grades. I bust these myths to reveal the truth and give you more successful strategies you can implement instead. Adults may learn a little more slowly than children but their depth of knowledge is greater. Adult learners build knowledge by interweaving material with previous knowledge, their experiences and their own views. This is a massive plus as university study often requires critical thinking and the linking of knowledge. Another benefit of learning as an adult is the difference in motivation. Most adult learning is voluntary so this large dose of motivation can help you achieve your goals more easily than a child or teenager who feels they are being forced to study something they haven’t chosen. A study by University College London found those with a university degree were likely to have longer telomeres – the DNA that protects the ends of our chromosomes and get shorter as we age. The study discovered the ageing process is likely to be slower in those who have studied at university or college level (in comparison with those who left education at 16 or 18). Similarly, Dr. Vahia of Harvard-affiliated McLean Hospital explains that “new brain cell growth can happen even late into adulthood” so going back to school is a great way to slow cognitive/mental ageing. Adults who believe the study myth that they are too old to study something new end up creating their own self-fulfilling prophecy. By thinking they’re too old they don’t bother as they think it’s hopeless – which then satisfies this limiting belief. 2. "I should have one designated area where I study"
This study myth is partly true AND false. I do think it’s important to have an organised space where you can study without distractions. I love having my own desk area at home where I can work without distractions and have my study materials close to hand. However, varying your study location has been found to improve recall. Cognitive psychologist Robert Bjork led an experiment where students were asked to review vocabulary in either one location or two. Those who studied in multiple locations recalled 20% more words than those in a single location. Dr. Bjork explains that the brain makes subtle links between what it is studying and background sensations – “when the outside context is varied, the information is enriched, and this slows down forgetting”. We’ve already seen in study myth number 1 that students of any ages can and should continue to learn. The old saying that “you can’t teach an old dog new tricks” is false when it’s applied to dogs and to humans. I scored some awful grades in Sixth Form and it looked like I was going to fail some of my subjects at one point. I just didn’t know how to study, revise or organise myself. But…I’ve taught myself many new study skills over the last 4 years of university and my grades have improved massively since Sixth Form. I have also refused to limit myself with the belief that “I’m not a good student”. I often hear people saying they’re never going to do well at university because they’re just not “exam people” – they really struggle and just aren’t born with the abilities to do well in exam. Of course there are those who aren’t confident in exams and haven’t worked out the right techniques to excel…but these are all issues that can be overcome. I get such bad exam nerves I have literally made myself sick on the morning of the exam. But I’ve learned some relaxation and breathing techniques that help me get to the exam centre in one piece. You can walk into an examination hall feeling confident if you have a few strategies ready for answering exam questions. Learning even just two or three new study skills and methods can push you into the next grade boundary. These don’t need to be perfected all at once as learning and university is a journey. Just keep learning how to learn (and let me teach you!). 4. "The more time I spend studying the higher grades I'll get"
You can study for hours and hours every day but still fail or get a bad mark for an essay or exam. Just spending hours and hours chained to your desk won’t guarantee you high marks. I know plenty of students who deserve high grades with the amount of effort they put in, but their study skills and strategies are not good enough. Now this is not an invitation for you to slack off and never study. If you want high grades you do need to work hard. But working hard doesn’t have to mean always pulling all-nighters. There’s a big difference between technique and effort. Rather than increasing your study time to get more grades (which makes nobody happy), work instead at improving your study techniques and skills. Revising by rereading your notes over and over in the hope something sticks. Revise by testing yourself (active learning) rather than just rereading notes (passive learning) which has been shown to be pretty ineffective at improving recall ability. 5. "I study better under pressure and at the last minute"
This argument is usually made by students who haven’t put the systems in place to start early, pace their work and be disciplined about deadlines. Some of you may feel you need the adrenaline rush of a close deadline to really get down to the work. I used to be one of those people who felt the only time I really got lots of studying done or lots of essay words written was when I had a looming deadline. This is true but that’s only because you have to. If you have an essay due in two days you haven’t got time to faff around, you just have to get it done. This mentality may get the job done but you will not be able to create your best work in a panic. With hardly any time to write your essay you give yourself no time to edit your work. Now I don’t just mean reading through to check for grammar or glaring errors. I mean proper editing, where you check for gaps and relevance and that each section answers the question. It’s in this editing where the real marks can be gained or lost. Instead of rushing and leaving things to the last minute try to plan your studies in advance and pace yourself. Work out where you need to be at the end of each week and factor in enough time for your essays. I like to spend at least a week on mine. That doesn’t mean I spend hours and hours each day on them, but it does mean I give myself enough time to plan, draft, write and edit so when I submit I’m happy. If you really like the pressure then try setting a fake deadline for 2 days before your essay is due. Give some money to a friend and tell them not to give it back to you unless you have a finished draft 48 hours before the deadline. It’s a drastic strategy but it works. 6. "I don't have to make any notes, as those in the text book are good enough"
This study myth really bugs me. I’ve seen countless times on the Open University module Facebook groups where someone posts 2 weeks before the exam that they need some advice on how to revise. When I’ve offered to help they’ve admitted that they have no notes as they don’t see the need for them. This makes me want to face palm myself…or them. 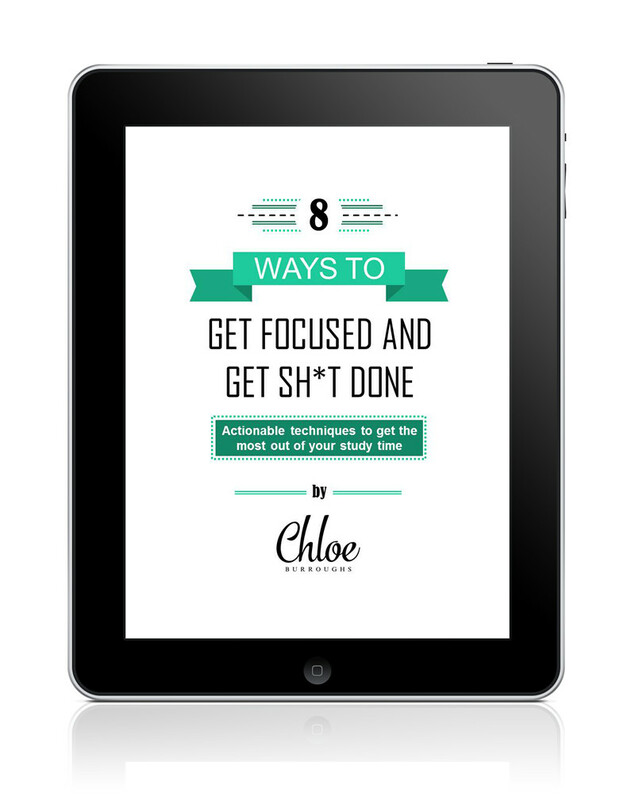 There is a wide spectrum of note taking advice and too many different methods to include here. But you need to at least be on this spectrum. Highlighting the text book does nothing valuable except allow you more stationery shopping trips (I’m addicted!) when you’ve run out from turning your books into a blinding rainbow. Some people find value in writing fairly long notes as it allows them to remember course information; find relevant information for essays and act as the start of the revision process. Others prefer to write shorter notes that summarise only the key points. Some people write notes by hand and some use a computer. You need to find the best method for you. If you make hand written notes take pictures of them or scan them – I lost some of mine once and nearly cried! 7. "Cramming for an exam never works"
Now of course cramming is not the ideal revision technique. Much of what you “learn” during these last minute study marathons will be quickly forgotten after the exam, but does that mean there’s no value in them? I prepare for my exams throughout the module because I take consistent and useful notes. I make quizzes as I go along so I can test my understanding and I try to take time off work so I have a week at home before the exam. But that doesn’t mean I don’t also cram. You’ll do better than if you hadn’t studied at all and you should be able to recall the details from these cramming sessions from your short-term memory in the exam. Some people don’t believe in revising much in the few days before an exam but I disagree. In almost every exam I’ve taken I’ve managed to answer at least one question almost solely on the knowledge I learned a day or two before. You may not remember much a week after the exam, but it will get you through. So in an ideal world you will have planned plenty of time for revision but if you find yourselves panicking and underprepared then go ahead and cram! What study myths have you heard or found out to be untrue? Great post Chloe. I also love the wonderful site colours and fonts you use in your posts. I’ll check back again as I think you have some great ideas here. I love this post. especially about not being too old. At 68, starting a BA Classical Studies in October, I needed this encouragement. Thank you! Thank you for your comment. I’m so glad my post gave you encouragement. I don’t think we should ever stop learning so well done you for taking this big and exciting step. I hope I can help you along the way, good luck! Highlighting by itself is useless. However, finding time to rewrite the textbook is impossible for me. Either in the text margin or on a sticky note, I write questions from the text and then highlight the key points that form the answers.